Thailand’s conservationists are struggling to stamp out the multibillion-dollar black market in animal parts, finding themselves outgunned by illegal hunters and outflanked by courts. 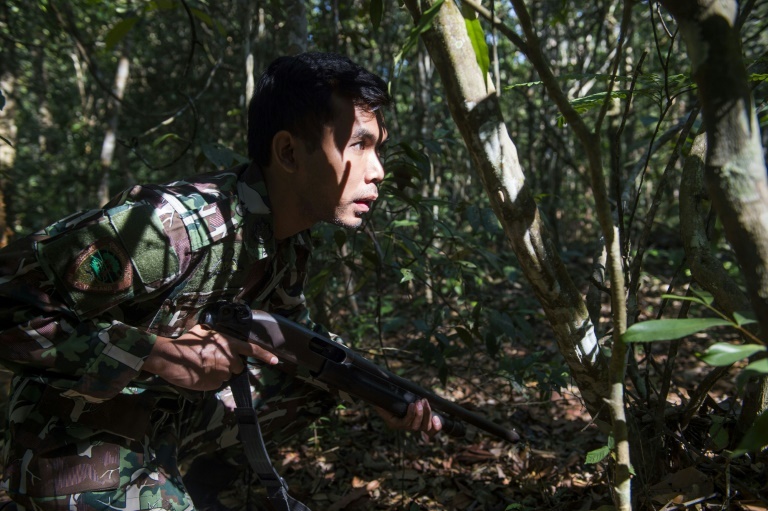 Among the participants in the event at Khao Yai National Park, which culminated in Friday’s mock scenario, were four officials from neighboring Cambodia and Laos. Freeland has emphasized the need for material evidence as “it cannot be manipulated, whereas an eyewitness can retract his testimony”, said country director Petcharat Sangchai, a retired police major-general. He was accused of smuggling $1 million worth of rhino horns to Thailand but the case unraveled when the sole eyewitness changed his testimony. A successful conviction has to be handled “correctly from the forests to the courts”, said Freeland’s program director Tim Redford, adding that widespread wildlife poaching and smuggling involves transnational organized crime rings.